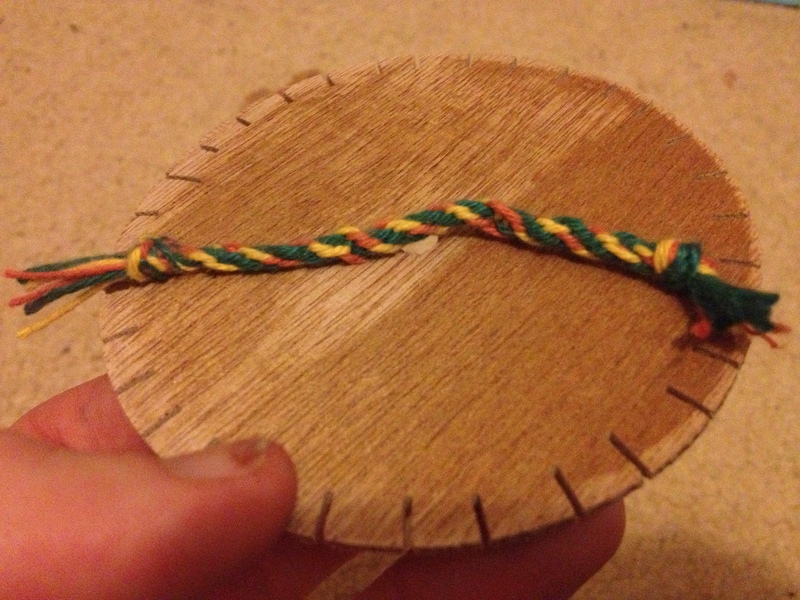 Me learning how to make braid with a wheel (first attempt). 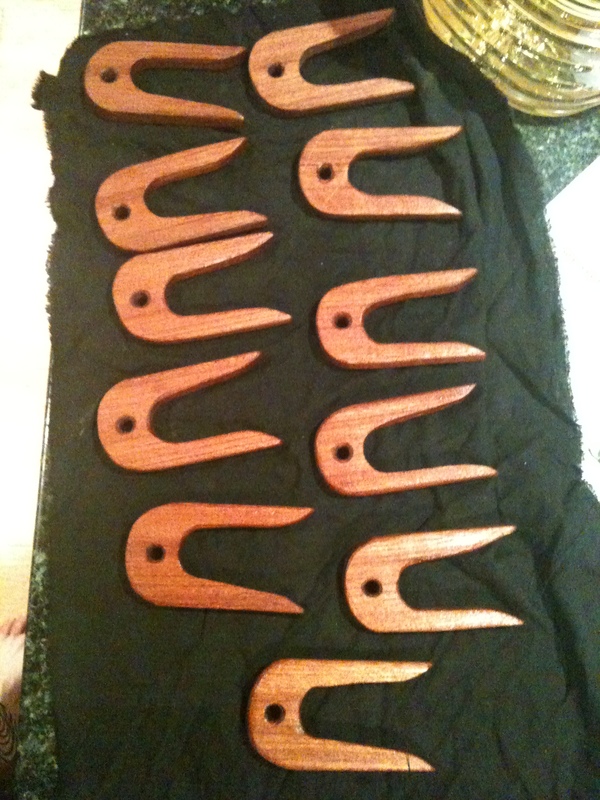 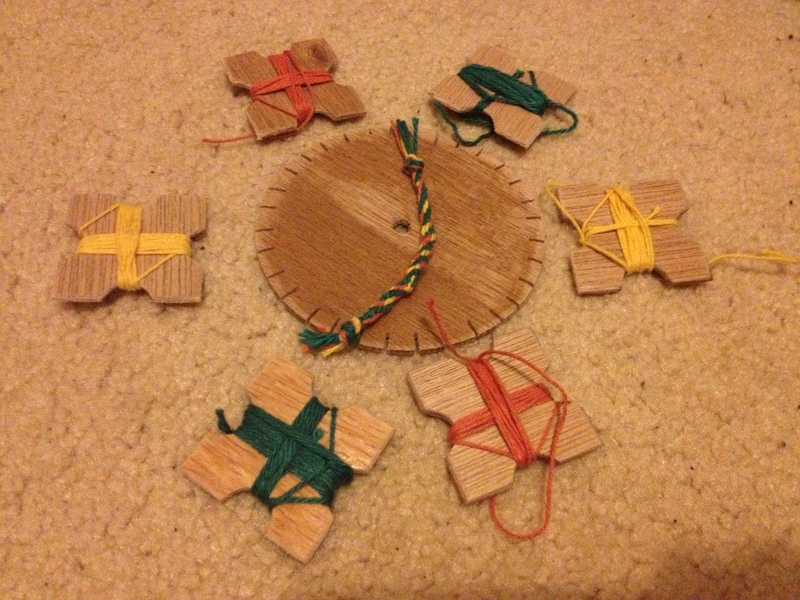 Rough lucets I made to take with me to Aneala to teach lucet cord making. 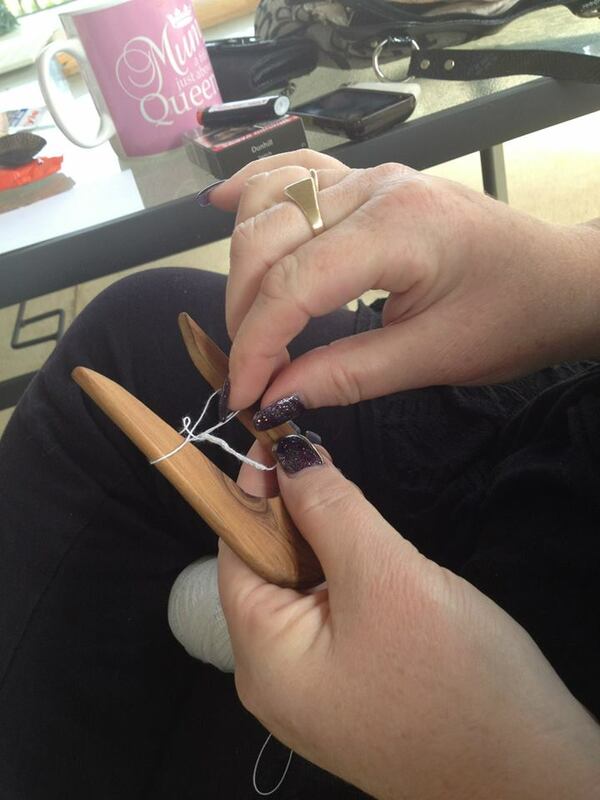 I was teaching Lady Alazais how to make lucet cord after Pencampwr 2013.